You never know what you’re going to get when you bring together sales and marketing. It often feels like the antics of Tom (sales) and Jerry (marketing) when you’re trying to get both groups in the same room to align strategies. You rarely see them hugging it out, but you know that they have a common interest at heart—the chase. 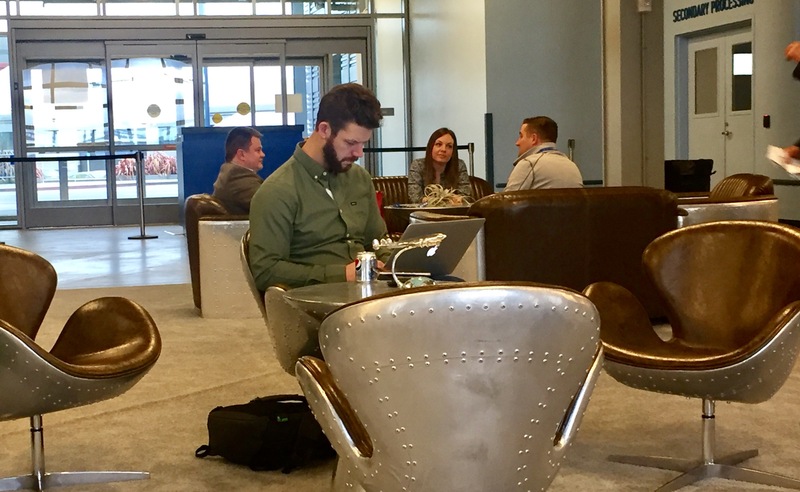 What I loved about this year’s Marketing Innovation Summit—aside from the intellectuals who amassed the open floor-plan layout with chique-style interior design—is the human focus put on resolving certain core issues plaguing executing successful ABM programs. For example, targeting personas has become the value-add to today’s ABM and lead generation programs. But focusing on targeting audiences through persona-building tactics objectifies the very human aspect of the individual. While everyone is in sessions, folks catch up on email. Personas are essentially the “ideal” person (comprised of the who, what, where, when, and why) that makes them the appropriate customer and thereby the focus of your chase. But personas leave out the critical answers to “How come?” and “What’s next?”, which make the difference between getting an email response and an invitation to help resolve the challenges that plague their 2017 growth plan. Robert Fogarty from @dearworld was a breath of fresh air. His keynote helped the audience embrace that our customer is a human being who shares three things in common: life, love, and loss. If you can solicit these emotions (preferably avoiding any tears) from your identified targets for your ABM program, you’re definitely on the right track. SAP doesn’t do random. Everything is planned and intentional—very bespoke. 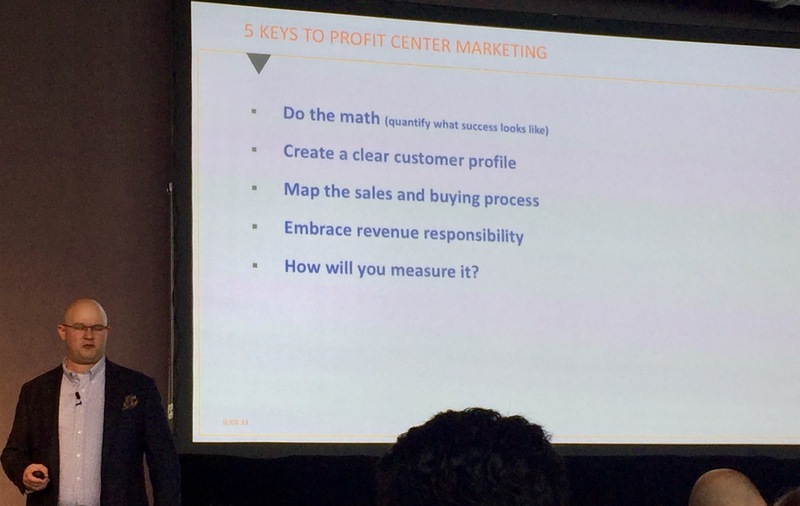 Eric Martin, VP of Customer Experience Marketing for NA region, and Barry Angeny, Sr. Director of Integrated Media and Brand Advertising for global marketing, co-shared their detailed best-practices on how they approach ABM and recommend doing so at scale. Paid media requires a base level of reach and frequency to justify investment and increase efficiency. 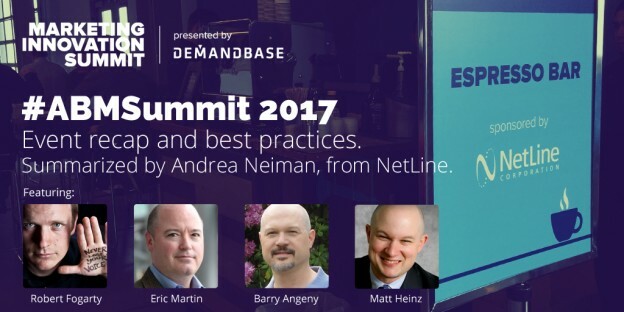 SAP used digital account-based advertising with Demandbase to reach and measure engagement. This allowed them to expand past the key list of accounts into TAM (Targeted Account Marketing). A lot of thought goes into segmenting their 2000 accounts. Even if the messages are personalized, it doesn’t help with providing context to how SAP tries to solve their prospects’ problems. 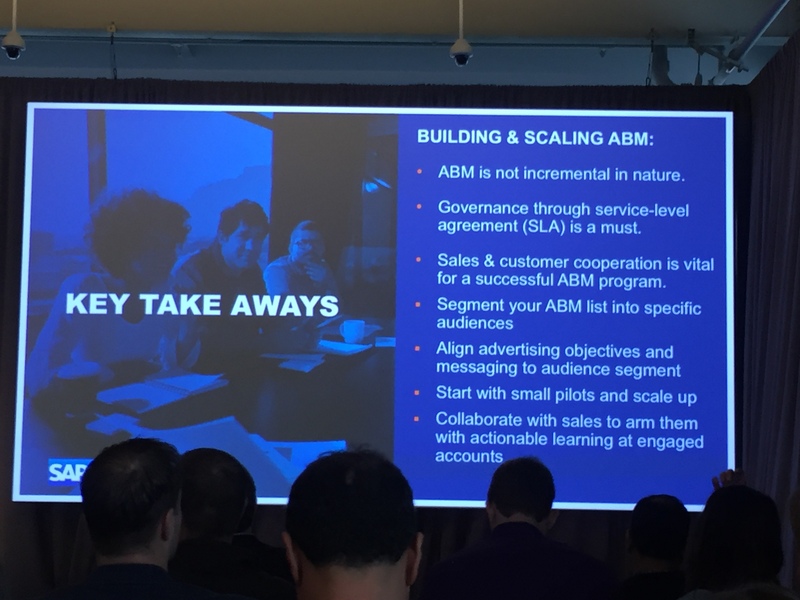 Key takeaways to SAP building and scaling ABM. Thinking status quo gets you status quo. If you want to win those big hard-to-catch deals, you must think outside the box, turn it on its side (kick it over if you need to), and question the reasons why doing things the “normal” way is still good enough. Running successful ABM programs isn’t for the faint of heart. You must be willing to challenge and be challenged. Changing one’s mindset isn’t easy without having a new perception for replacement. For example, Matt suggests not looking at attributions as a means of measuring success and instead focusing on intent. Are you targeting your audience in the most relevant fashion possible? How is your content converting? Throughout the entire sales cycle process, sales reps will commonly mistake their outreach with carrying no consequences should their contact not respond. Typically, with no email or voicemail responses, reps just move on to the next lead. In ABM, you can’t be so frivolous. A handshakes mean something. Sending a well-thought email means something. Doing your homework as to where they went to college means something. Anything that gives you greater personal insight into who your customer…means something. Why should Matt’s points mean something to YOU? Because it’s helping turn your marketing programs into profit-based engines. 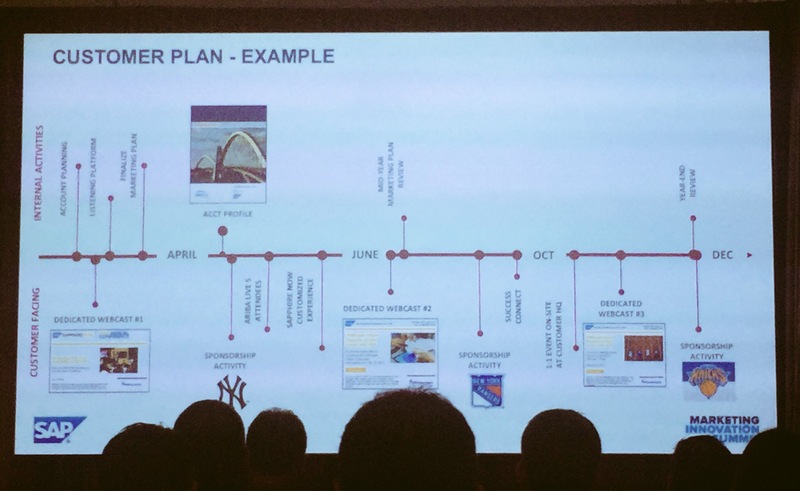 Whether you are akin to the emotion-soliciting keynote; you take a liking to the structured, detailed, and planned approach to ABM; or you fall somewhere in between, there is no denying that building relationships is key for directing successful ABM programs. Customers deserve your time to really understand their core. But sales and marketing teams equally deserve to understand each other, work together, and even appreciate their differences. 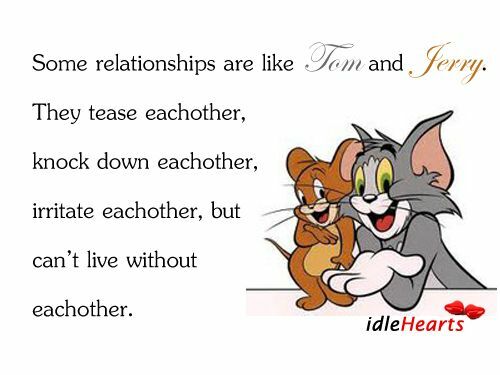 In the end, having a Tom and Jerry relationship isn’t all that bad if it leads to sustainable business growth. Posted by Andrea Neiman on April 12, 2017 .